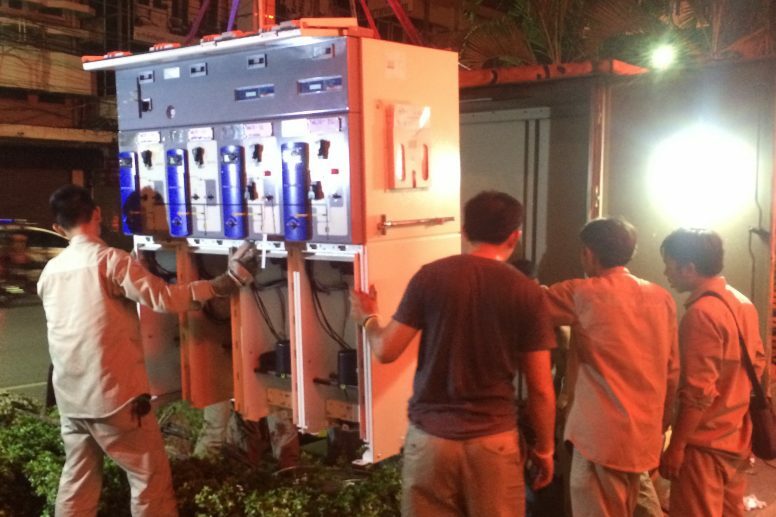 Lucy Electric delivers a pilot project for upgrading the medium voltage network in the Old Siam district, Bangkok. The Metropolitan Electricity Authority (MEA) is a Distribution Network Operator (DNO) in Thailand, operating across the Bangkok metropolitan region. As part of a strategy to upgrade its ageing infrastructure, MEA plans to convert the existing overhead line network to an underground cable network in some areas. This was initially planned for the Bangkok metropolitan region but with the potential to extend into other regions in the future. 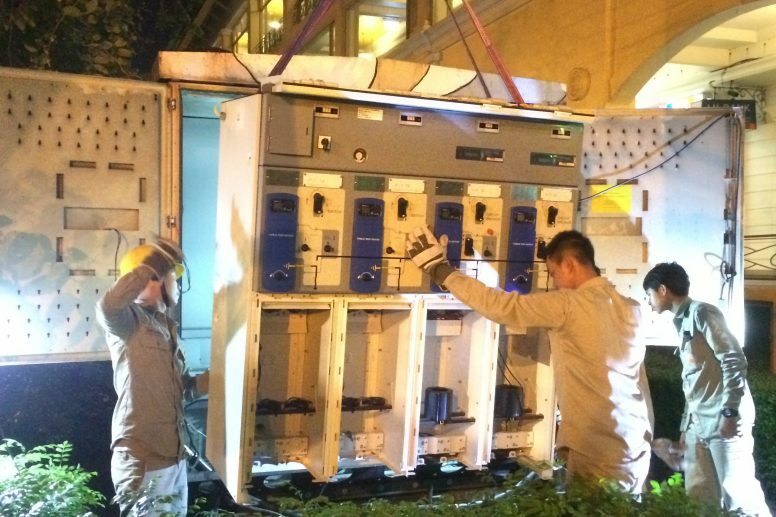 As part of this upgrade project, MEA decided to replace existing HV Fused Ring Main Units (RMUs) with the latest technology RMUs, incorporating vacuum circuit breaker protection and full monitoring and control options to enhance network intelligence and increase efficiency. The project scope was to deliver a full turnkey solution to replace existing RMUs with new RMUs and fully automate this section of the network, including measurement, monitoring and control. The project had to be completed within six months; this included design, manufacture and delivery of RMUs, together with onsite installation and commissioning. In addition, MEA specified an improved battery life for the Feeder Remote Control Unit (FRTU) – a minimum lifespan of three years instead of one year, and reliable operation under the difficult local climatic conditions (high temperatures and humidity). An added challenge was that the site works had to be carried out at night to minimise disruption to customers in an area of Bangkok that is densely populated with both businesses and homes. Lucy Electric was able to provide a fully engineered, bespoke turnkey solution, specifying our Aegis Plus RMU with an integrated, latest generation Gemini 3 FRTU. The solution included installation, commissioning and training for a number of MEA engineers. Employing the latest technology, the Aegis Plus RMU delivers the highest safety standards, protecting operators and the public in accessible areas using enhanced interlocking facilities and fully type-tested Internal Arc (IA) compartments for both the switching tank and the cable termination area (cable box), at very high shortcircuit levels. The unique modular design of our latest generation Gemini 3 provides a highly ﬂexible platform for advanced feeder automation. Using a range of plug-in modules the unit can be configured to work as a simple monitoring-only device and scaled-up to a sophisticated HV multi-switch controller, and anything inbetween. The design is future-proofed to meet customers’ evolving needs as it can be upgraded with new modules, without the need to recalibrate. In addition, a new user-friendly Human Machine Interface (HMI) has been included. This means that MEA can now monitor all available power parameters, including current and voltage, locally at the fascia of the RMU. The unit can be switched remotely or controlled locally. The engineering team at Lucy Electric also designed bespoke additional elements and modules for the Gemini 3 FRTU to meet MEA’s specific requirements. These included an improved, longlife battery function using a nickel metal hydride (Ni-HM) battery with Lucy’s smart charger system and the introduction of a specific measuring function. Software was upgraded to run additional protection, tripping and monitoring functions linked to MEA’s Distribution Management System (DMS) and the team also added a special plug and socket interface for connecting switchgear with a simple configuration wizard to improve the speed and ease of installation. Lucy Electric successfully provided a ﬂexible, scalable solution for MEA, meeting the organisation’s current and future needs, both technically and commercially. The units were well received by MEA’s installation and commissioning staﬀ and the platform has already demonstrated its ﬂexibility, integrating seamlessly into the organisation’s ‘smart’ ﬂexible generation connection systems. The project meets MEA’s commitment to deploy cost eﬀective and complete technical solutions for monitoring and control of new RMU technology into its network. This will allow faster and more ﬂexible reconfiguration options for improved customer experience. Lucy Electric continues to develop new applications for the Gemini 3 RTU platform as MEA’s requirements evolve, for both ground mounted and overhead applications.